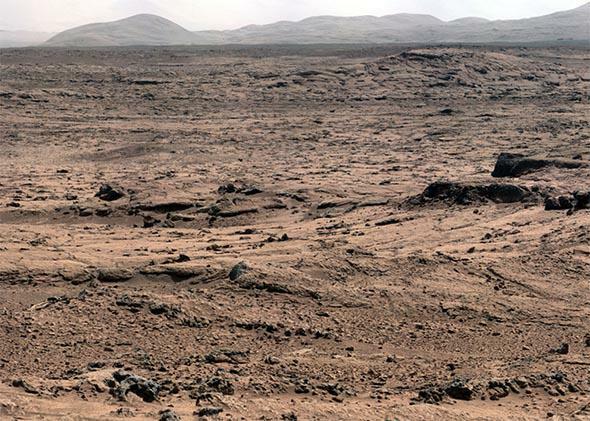 Should American colonists on Mars pay U.S. income taxes? Should Martians Pay U.S. Taxes? What the IRS might have to say about American colonists on the Red Planet. Any intrepid explorers who are U.S. citizens will be subject to American taxes on any income they earn on Mars. The dream of sending a manned expedition to Mars has long been with us. Yet, despite periodic enthusiasm, it seems we have made little progress. Until now. Our understanding of the planet’s environment (past and present) increases almost daily. Just recently, we tested a rocket ship capable of taking people to Mars. And a surprising number of people would volunteer to go to Mars, even if it meant not returning. (Elon Musk is fond of saying that he would like “to die on Mars, just not on impact.”) As engineering and other hurdles fall, it is time to address one of the most pressing—and yet least discussed—problems facing such a journey, one that could undermine it almost from the beginning. Of course, I’m referring to taxes, and in particular to just how Marstronauts and ultimately Martians (assuming they stay) will be taxed on the income they earn while en route to, and living on, the Red Planet. Failure to address this important question now could lead to Martians renouncing their U.S. citizenship, or worse. Let me explain. First, the tax law. Unlike most countries, the United States currently employs a “worldwide” system of taxation, under which it taxes all income earned by U.S. citizens and residents, regardless of where it is earned. “Nonresident aliens” pay taxes only on their U.S.-sourced income. So, how could these rules undermine our efforts to colonize Mars? The cost of going to and colonizing Mars is likely to be so high that it will almost certainly be a U.S. government operation. While the U.S. cannot legally claim a portion of Mars as its own, any bases it might establish are likely to be subject to U.S. tax laws, much like certain earthbound U.S. territories (think Guam or the American Virgin Islands). And if, by some quirk of the future we can’t yet anticipate, the base ends up becoming an actual American colony … well, U.S. history is replete with tax rebellions. From the Boston Tea Party, to the Whiskey Rebellion, to the many U.S. citizens and corporations now noisily renouncing their citizenship and inverting, Americans have repeatedly struggled against taxes perceived to be unfair. It doesn’t take much imagination (or reading of science fiction) to understand that Martian settlers could quickly come to see Uncle Sam as a faraway tyrant and begin to dream up dangerous schemes to break free. Worst-case scenario: Martians chafing at paying taxes to an earthbound ruler—American or otherwise—could start hurtling asteroids at Earth. Astute students of spaceflight might argue that colonists will likely spend most of their time just trying to stay alive and that tax revolts will be fairly low on the “to do” list, giving us plenty of time to figure things out. That’s probably just what King George III thought, and look how that turned out for him. Even if revolution isn’t in the immediate future—after all, it would take quite some time for a Mars colony to build up enough people and resentment for an interplanetary dispute—the practical issues of U.S. taxation alone could present certain challenges. The Martian year is 686 days, and it is not at all clear whether Martian taxpayers would be permitted to use their annual accounting period or would be required to use the Earth year. And if you think the wait time for talking to an IRS agent is long now, try it with a 21-minute, one-way delay. I won’t get into the burdens imposed by the Foreign Account Tax Compliance Act. Wars have been fought over less. Astute students of tax law might argue that these concerns are overblown because the law currently permits those living abroad to exclude approximately $100,000 earned abroad from U.S. taxes. However, this provision is unlikely to solve our problems. First, the earliest Martian colonists are likely to be highly skilled and therefore earn more than that amount, such that they will still be subject to American taxes. If nothing else, the publicity rights from selling their stories will be worth a bundle. Second, the provision allowing taxpayers to exclude income only applies to those living in a “foreign country.” Mars is not a foreign country, and it may be that all their income will be subject to tax. Martians could try to argue that they are “nonresident aliens,” subject to tax only on their U.S. sourced income, because they live on Mars. However, living on Mars—or even being born there—is unlikely to make them aliens for tax purposes, even if they acquire a green hue. Anyway, we don’t have to abandon our efforts to colonize Mars to address these concerns. Instead, we can reform our tax laws. Unlike the United States, most countries employ a “territorial” system of taxation in which they tax only income sourced in their country, regardless of citizenship or residency. Under this system, an American citizen living in the U.S. or abroad would be taxed only on his income earned in the U.S. Many Republicans have promoted just such a system over the past several years, promising international competitiveness, economic growth, and an end to expatriations. Making the colonization of Mars safe for life on Earth may be an even more compelling reason. Unfortunately, moving to a territorial system will not completely solve the problem. As noted above, any income derived from a space activity by a United States person will be considered U.S.-sourced and therefore taxable in America. Thus, even if we switch to a territorial system, Martians will still have a strong incentive to renounce their U.S. citizenship, which might be difficult because it must be done in person before a U.S. consular or diplomatic officer on foreign soil. The U.S. could foil this attempt simply by refusing to send such an officer to Mars. Even if a Martian succeeds, renunciation could trigger the tax code’s onerous expatriation provisions. The answer to this conundrum, of course, is to repeal the space-based sourcing rule at the same time that we switch to a territorial system. Not only will this stem the current tide of personal and corporate expatriations and perhaps the other benefits promised by proponents, but it will also open the doors to our colonizing Mars, the first step toward interstellar space. Now let’s get cracking. Ad astra per aspera!